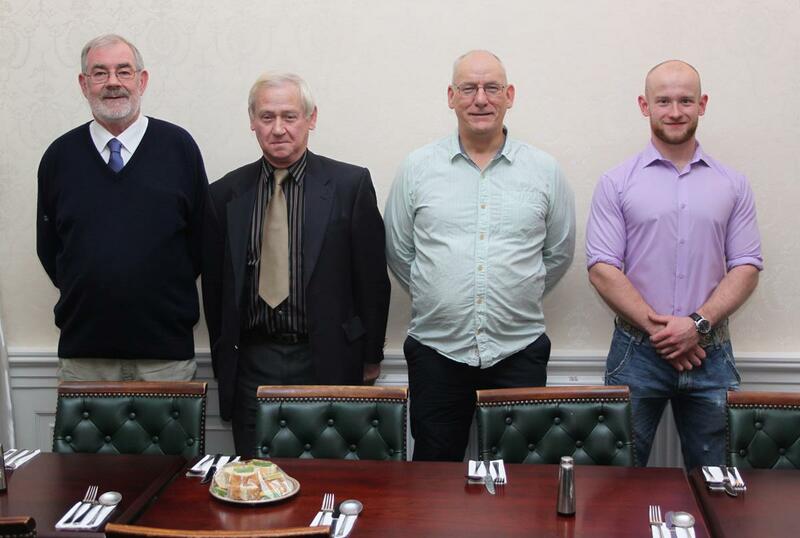 The Incorporation of Hammermen enjoyed an historic second annual dinner in the Allan Park Hotel during late November. The occasion was marked by the presence of four Deacons from the Seven Trades of Stirling. 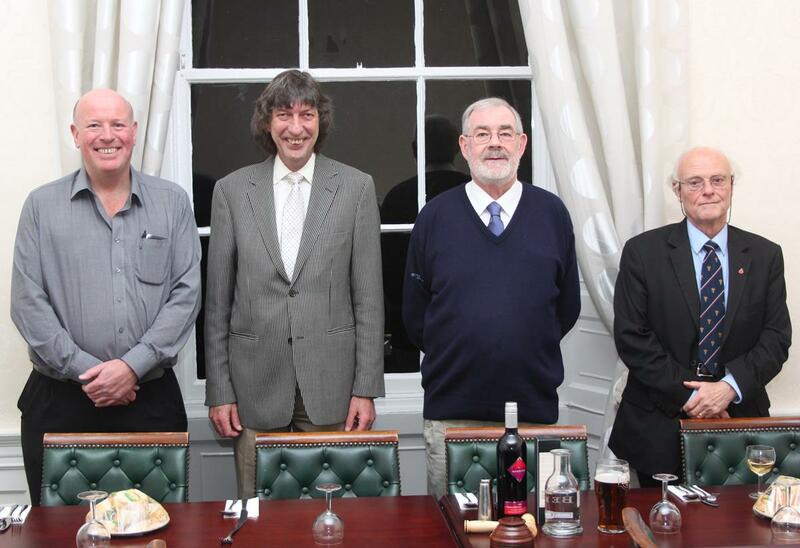 The first time for many decades that four Deacons from the Seven Trades had been present at the same dinner. The dinner was thoroughly enjoyed by all, who were entertained by a talk from Squadron leader Bruce Blanche. He talked about Frank and Harold Barnwell who were Scotland’s aviation pioneers. They opened the Grampian Engineering works and Motorcycle Company in Causewayhead in 1906 and from there on 28 July 1909 flew their biplane 80 metres being recognised as Scotland’s first powered flight. They continued their enthusiasm with flight when they both moved to England. Frank specialised in aircraft design and was responsible for the Bristol Bulldog and Bristol Blenheim. Despite his early death in 1938 his contribution to aviation design is still felt today. Harold became a test pilot for Vickers, being killed while experimenting with one of his own planes in 1917. The second speaker was David Sibbald, a world authority on Burns, who gave all an insight into Robert Burns away from the traditional burns suppers and poems. David told those present why due to the prejudices of the upper classes and government of the day that many of Burns poems were not published until after his death. Those in power were fearful of Burn’s work and thoughts, particularly where in those days open criticism of government could have lead to transportation. Many of his works were in a form of code, often hiding the real deeper meaning of the works. A vote of thanks was given by Baillie Andrew McEwen who thanked both speakers and everyone present for a fabulous evening’s entertainment.